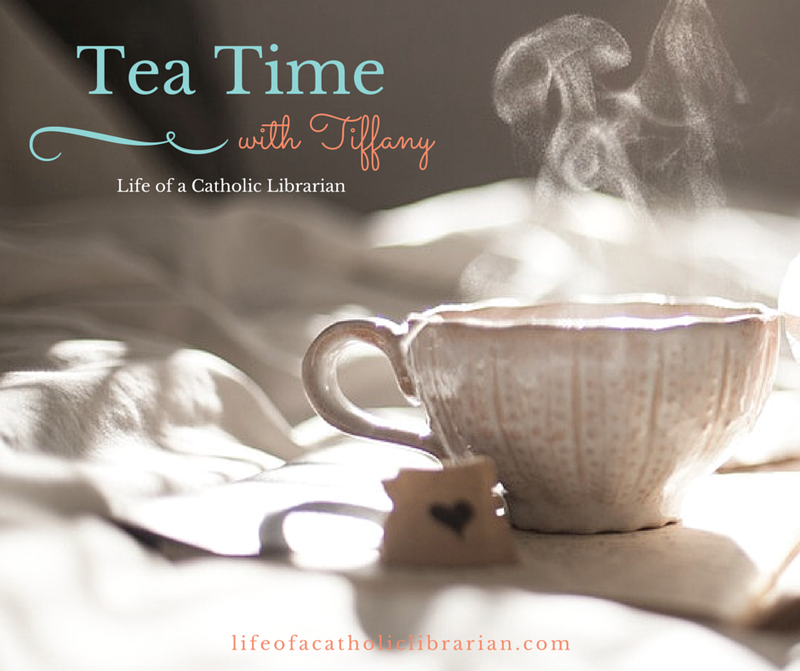 Life of a Catholic Librarian: Tea Time with Tiffany #43 - Can you hear me now?! ;-) Audio updates & upgrades, plus exciting summer project plans! Tea Time with Tiffany #43 - Can you hear me now?! ;-) Audio updates & upgrades, plus exciting summer project plans! Today, now that the snow is finally melting :0 seeds of ideas for the upcoming summer season are swirling about in my head, so I gab on about those for a spell. There are a few audio upgrades to discuss, plus a summer writing series that I am teasing about, though not yet fully revealing. All this, and I complain just for a bit about how frustrating teaching can be at this point of the semester. ;-) Come join me! I now have intro music for the audio version. This is exciting, yes?! 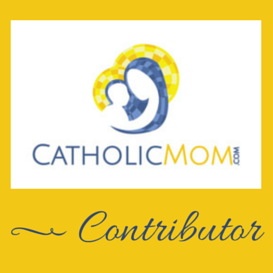 It's been nearly a year since I changed up the format of this blog to include video posts! I couldn't remember the dates while I was recording, but the first video post was May 12, 2015, and the first official Tea Time with Tiffany was published on May 21, 2015. I didn't talk specifically about the history of the video posts on this blog while I was recording, but while I was looking for the above links, I found this gem that is the foundation of why I changed things up here last year. It made me smile to look back on that time. Although it was a tough stretch, the fruit has been so meaningful! If you have any ideas for me for the summer, whether about audio, video or writing topics, do write in! Do you have books or genres to suggest for the book club? Write in about those too! I'd also love to hear how your Easter season is going. 13 classes a week, that's a lot! I'm a teaching librarian, too, and teaching is the thing I love best, but still...I'll be interested to hear how it goes for you! I appreciate you mentioning the Easter "season"...I find that mentally I've moved on way too quickly this year. Cindy!! I know, right?! A year passes so quickly these days. *depressing* But indeed, hope springs eternal for Mother's Day this year! All signs are a go for a great one. I liked the new audio intro. I'd say I listen to the audio about 75% of the time and watch the video the other 25%. However, the intro was louder than the rest of the podcast. I had to turn up my car stereo (from 5 to 15) in order to hear the podcast at a level I liked. But if one has to be louder than the other I'd rather it be the intro. Easier to turn up later as opposed to turning down. Melanie, an update! I am SO glad you posted this, because it gave me the impetus to look into it further. I found that I can adjust the volume during the editing process, who knew?! :0 So hopefully, next week all will be well. Do write in to let me know after you listen next week, OK? Glad you learned new information that might fix the problem. I'll let you know next week how it sounds after I listen. Love your scarf! What yarn is it? Looks more cotton than wool. Read today that for every hour if teaching there's 4 hours of prep. I don't envy your upcoming workload.